The Flooring Source sells and installs a wide variety of carpet, tile, hardwood, vinyl and more. Located in Kingston, NY, they faced stiff competition from other local businesses, franchises and big box stores. Identifying that digital marketing was a key piece of their overall strategy, The Flooring Source hired us on a monthly retainer to provide our full menu of digital services. We quickly increased The Flooring Source’s SEO performance dramatically, bringing lots of people to the showroom as a result of organic Google Searches. We revitalized their social media so the store appeared active in the community. To further improve SEO, we built a new website to deliver custom content. This includes a video tour of the showroom we shot, and edited, and many photos of the showroom, also taken by us. 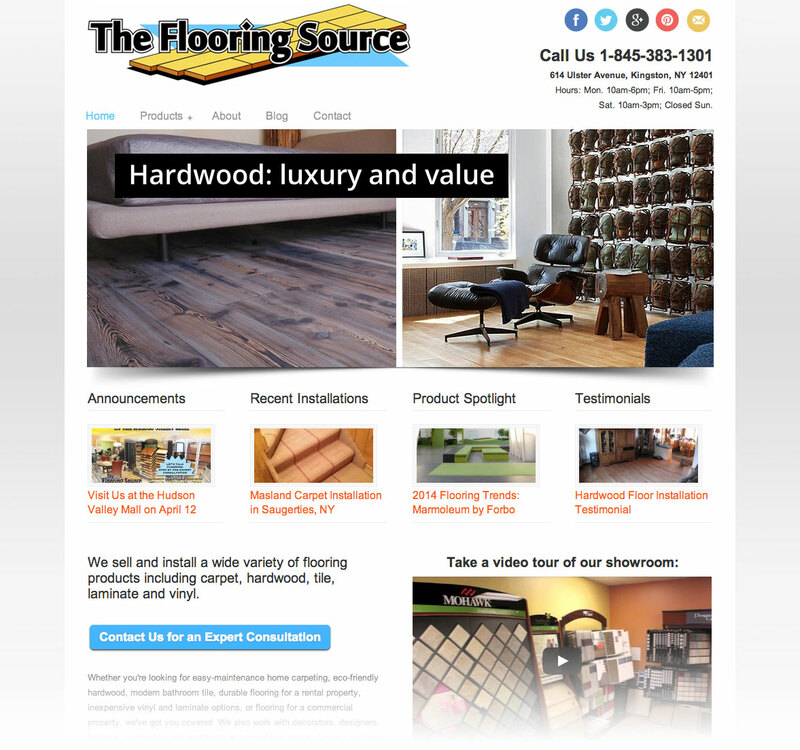 We continue to help The Flooring Source achieve noticeable growth by generating content, improving SEO, engaging with customers, organizing events, and constantly optimizing our strategy to make Flooring Source the #1 retailer and installer of flooring in the Hudson Valley.